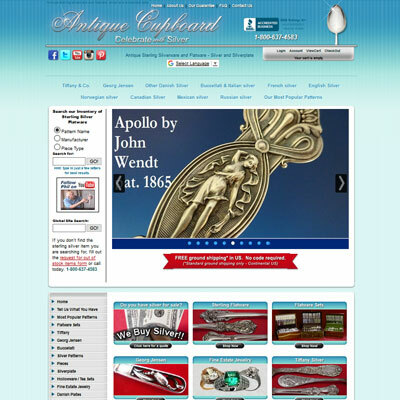 We have an extensive portfolio of eCommerce customers. Our customers range from small merchants running specialty stores, to extremely complex product catalog websites containing hundreds of thousands of categories and products. Note: Features described on this page are subject to change without notice. 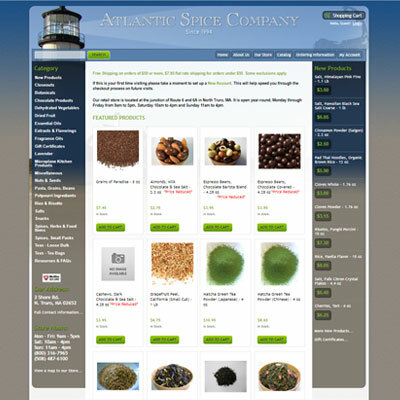 Atlantic Spice Company provides wholesale prices on the highest quality culinary herbs and spices, extracts, teas, dehydrated vegetables, nuts, seeds, botanicals, essential oils, potpourri ingredients and fragrance oils. 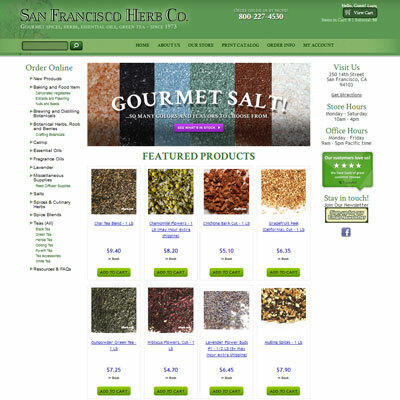 The client needed a customized e-commerce solution to sell their products to customers across the country. Mosaic Smalti is the official U.S. Distributor for Angelo Orsoni of Italy, they offer the finest authentic traditional Smalti and mosaic gold available in the world today. The client needed a customized e-commerce solution to sell their products to customers across the country. Falmouth Fish Market, located on beautiful Cape Cod, MA, owns LobstersLive.com. They have been in business since 1988 and have been shipping lobsters and seafood across the country since 1990. Falmouth Fish Market approached Webfodder to completely redesign their online presence. They needed to give their customers a simple, intuitive way to order lobsters and seafood. For Falmouth Fish Market, accommodating the specialized overnight shipping needs for their products was of utmost importance. They ship their products with dry ice in special styrofoam boxes of various sizes. Webfodder worked closely with Falmouth Fish Market to research and analyze the shipping scenarios so that an effective solution could be implemented. The final solution interacts with FedEx in real-time, generating accurate shipping calculations for each order.